Only a few people know this, but when I was in Africa I considered to cancel my ticket to Turkey (and thus my entire Silk Road backpacking adventure). I had such a good time and there were so many other interesting countries nearby: Malawi, Mozambique, Tanzania… However, three good friends from the Netherlands would visit me in Turkey and I couldn’t let them down. So, I went to Turkey anyway. And after that, the rest of the Silk Road. Of course, it turned out to be absolutely amazing!! Countries visited: Turkey, Greece (day trip), Iran, Kazakhstan, Uzbekistan, Tajikistan, Kyrgyzstan and China. Used modes of transportation: Dolmus (Turkish minibuses), hot air balloon, Iran VIP buses with carpet, shared taxi’s, paraglider, big trucks, old Sovjet cars (Lada Niva’s), 4×4’s, motorbikes, electric scooter, kayak, canoe, boat and a horse. 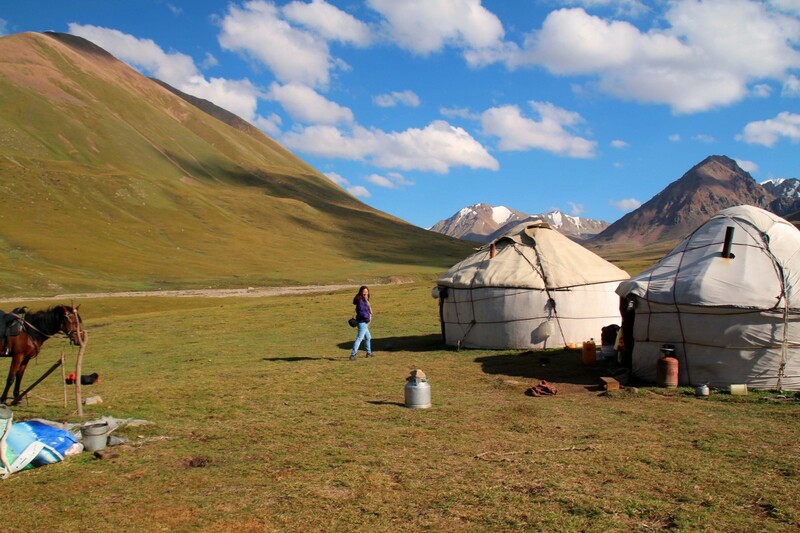 Favorite road trip: 6 days with a 4×4 through the Wakhan Valley and the Pamirs (inc. a 4600m pass) with 4 other girls! 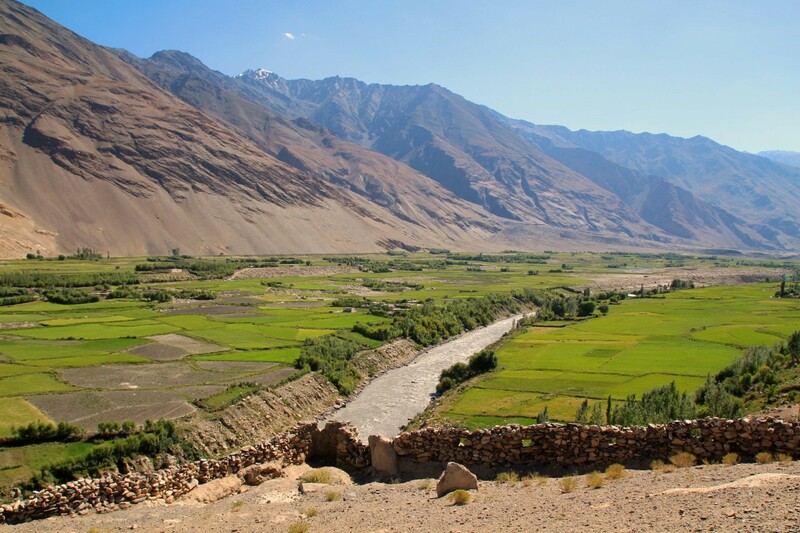 Stunning Wakhan Valley in Tajikistan. 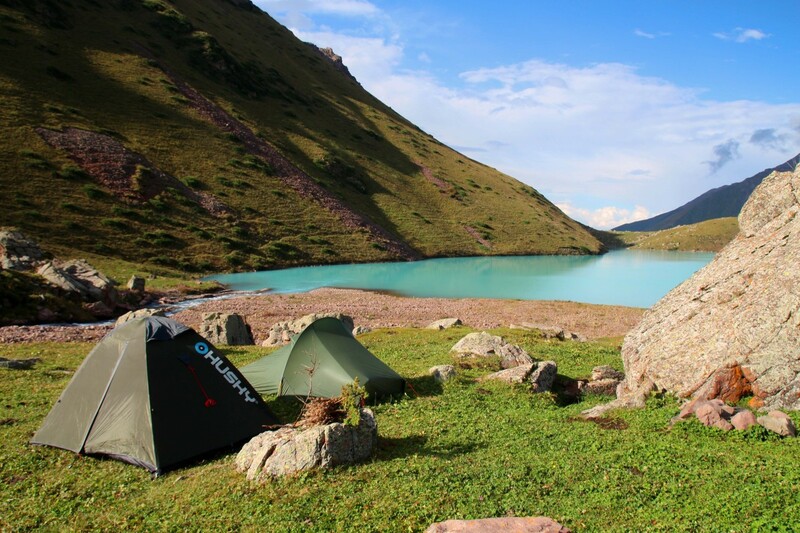 Camping at the Kol-Tor Lake in Kyrgyzstan. Number of times I felt unsafe: I had a few incidents of sexual harassment in Turkey, Iran and Kyrgyzstan. I never felt really unsafe, let’s call them just incredibly annoying and sad. Least favorite meal: The dry, white, gigantic baguettes in Iran. Favorite historical places: 1. Ani in Turkey. 2. Samarkand in Uzbekistan 3. Ephesus in Turkey. 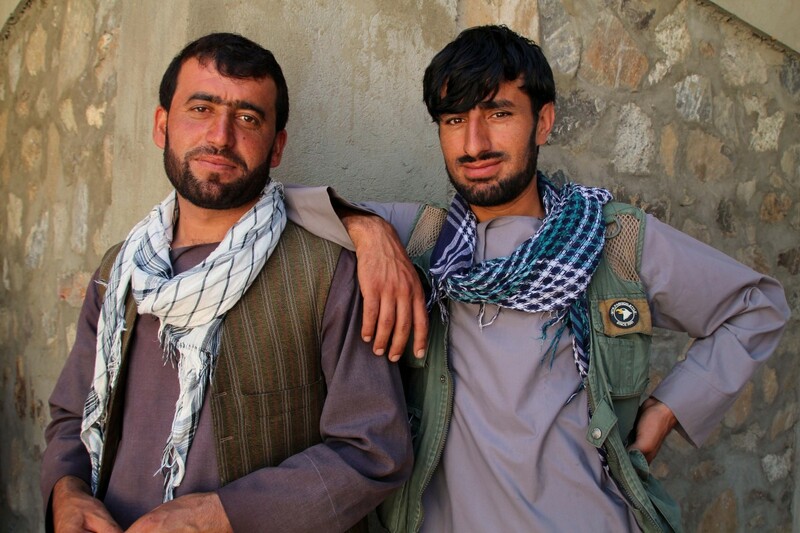 Afghans at the cross-border market in Khorog, Tajikistan. Moments of shock: Thinking someone offers you a chocolate toffee ball in the bus, but it turns out to be ‘Kurut’, a Kyrgyz salty yoghurt ball!! 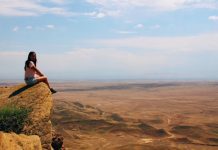 Best Silk Road hikes: 1. 3D/2N hike Allaudin Pass in Tajikistan 2. 3D/2N hike Kegeti-Kol-Tor Lake in Kyrgyzstan 3. Parts of the Lycian Way with Turkish (new) friends. Favorite new hobbies: 1. Trekking. I did my first treks with full equipment (e.g. carrying all my camping gear, food etc.) and LOVED it. It’s physically challenging (and therefore fun) and you go where no cars can go! 2. Tavla! In Turkey I finally learned how to play (the Turkish version of) backgammon 3. Thriller books. I’m more into cult books, fantasy and classic literature, but during this trip I tried my very first ‘thriller books‘ and quite liked them! 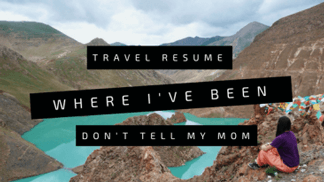 Classic adventure moments: Hitchhiking, rooftop sleeping, sunset viewing, visiting nomads in Iran and Kyrgyzstan, wild camping, dancing in cars, star gazing, joining pelgrims, kayaking over Sunken Cities, getting lost, trekking 3800+ meter passes & being alone in the wilderness. Random moments of kindness: Getting offered countless cups of tea’s, food (inc. ice cream! ), rides and places to stay. Moving experiences: 1. 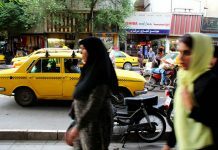 Visiting the MSF women clinic in Tehran (drug abuse, prostitution) 2. Meeting Syrian refugees in Turkey 3. 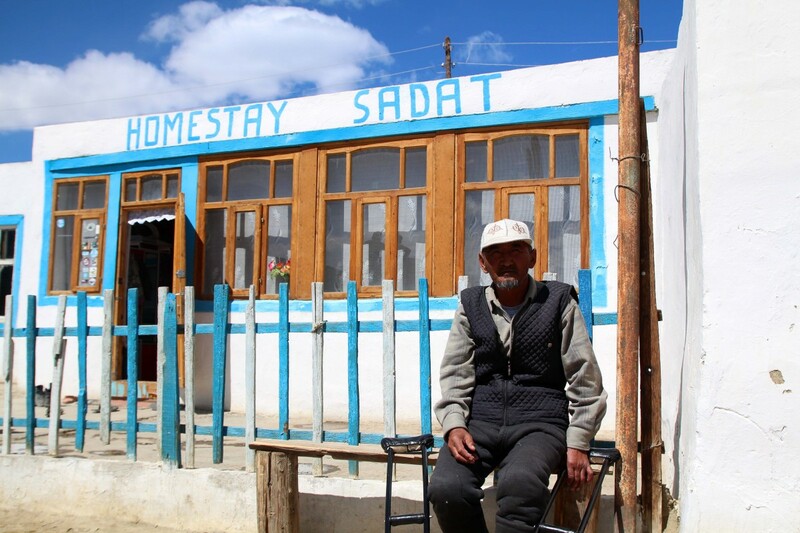 Visiting the ‘fishermen town’ of Moynak and learn about the Aral Sea disaster in Uzbekistan. 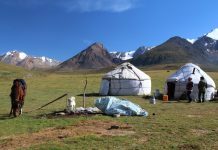 Unusual accommodations while backpacking the Silk Road: 1. Staying with Mohammed (receptionist hostel) and his beautiful family 2. Tree house in Saklikent Gorge, Turkey 3. Cave in Cappadocia, Turkey. Best gifts: 1. A plastic flower pen from a fellow bus passenger 2. A wooden walking stick (made on the spot) from a family in Jizeu, Bartang Valley 3. A cup from a fellow couch surfing member. Most interesting cultural experiences: 1. Hanging out with new friends in Iran 2. Visiting a horse festival in Kyrygzstan 3. Visiting nomads in the Zagros Mountains in Iran. 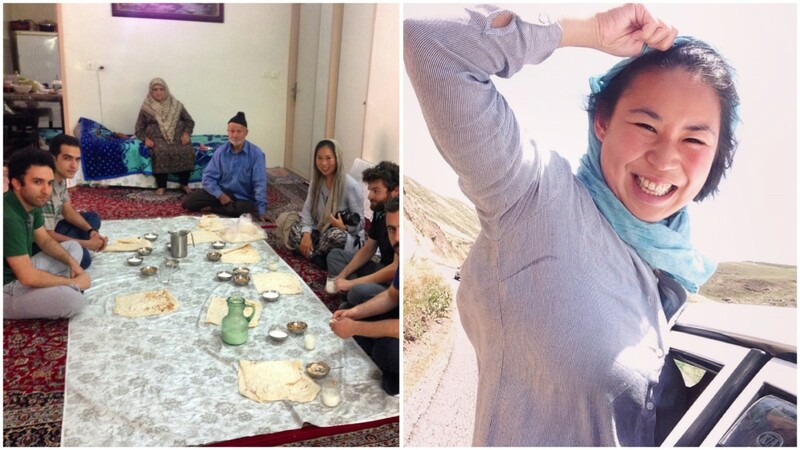 Typical for the entire Silk Road: (Sometimes overwhelming) hospitality. Stuff that I didn’t miss during my this Silk Road backpacking trip: 1. A computer! I think I spent <10 hours behind a computer (in internet cafe’s) in the last 4 months. 2. Whatsapp. I deleted my Whatsapp App on the first day of my trip and it was lovely quiet. 3. Light pollution at night ;) The ‘Milky Way’ was even better visible in Central Asia! 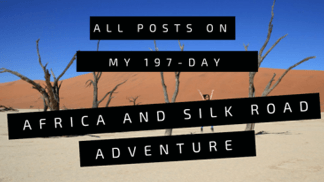 Blog achievements: Even though I didn’t ‘blog’ during my travels and only gave updates through Instagram and Facebook, Bunch of Backpackers did quite well! I was mentioned on the famous Matador Network as Female Instagrammers Who Keep It Real and I reached more than 10k followers on Instagram. New things on my general ‘wish list’: A Lada Niva 4×4 car! Best things of coming home: Seeing family and friends, city cycling, Sony head phones, re-discovering my house and clothes, doing sports again & chocolate sprinkles. 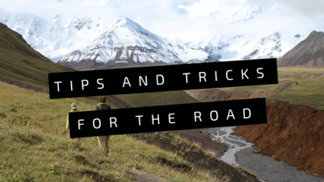 Like Southern Africa, the ‘Silk Road‘ is one of those destinations that is less popular with backpackers, but so worth visiting. 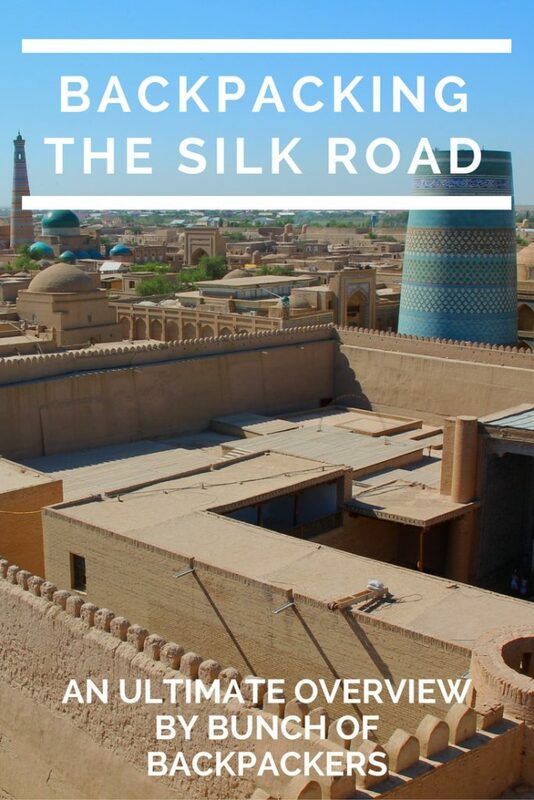 I hope that, after reading this overview, you consider backpacking the Silk Road yourself. Or even you have little time, at least one of the countries. I’m back in Rotterdam, busy with work, sports and seeing friends and family again! 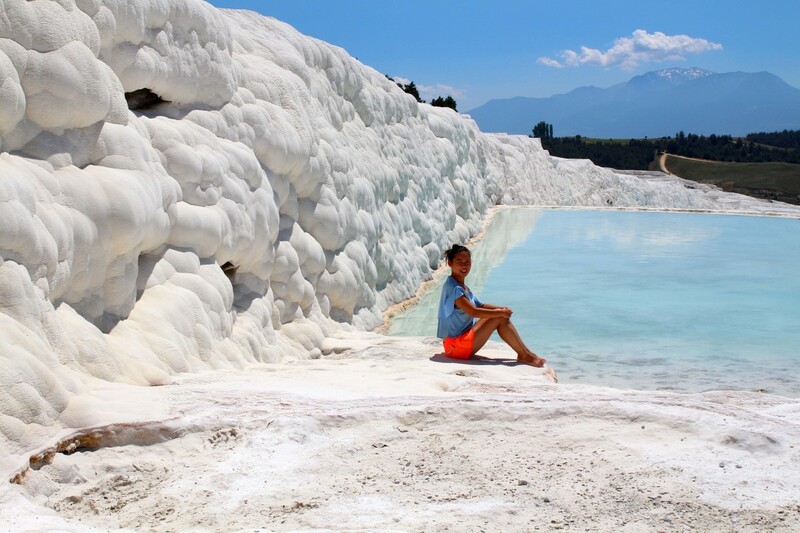 However, more posts are coming up soon (favorite photos, costs, tips, itineraries)!! I hope you enjoyed this overview of ‘BoBs Epic Adventure‘! Previous articleDon’t ruin your camera and 9 other tips for your visit to Victoria Falls! Manouk, zo mooi om te lezen hoe jij het reizen ervaart en beleefd. Mede door jouw blogs staat de zijderoute bij mij bovenaan mijn lijst voor 2017. Graag gedaan Antoon! Veel plezier met het plannen van jouw Zijderoute avontuur! I am just dying to read every word you will write about this trip! Your Instagram has been one huge tease. The places you visited were so beautiful and every single one of them is on my bucket list. Aww thanks Jennifer :)! Glad you enjoyed and I hope you’ll make it there soon!!! 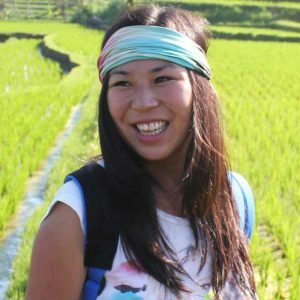 Hi Yvonne, yes Kyrgyzstan was pretty amazing! Great that you’re going to Georgia. I’ve heard SO many good stories about it. I really like to go there myself as well!! Thanks for reading!! Look forward to seeing more of your posts from recent adventures, especially ones on Iran. I am hoping to visit solo around March or April next year. I already have some posts for Iran prepared :)! Will publish them soon, so keep an eye on the blog! Iran is amazing Bianca!! He Tessa, wat leuk dat je ook mijn Instagram hebt gevolgd! Haha ja, zeker op de wish list zetten! Lastig he, zo’n wish list die steeds langer wordt ;)? Dank voor het lezen! We have been following your Instagram…and every single picture was awe-inspiring. I can’t believe that 6 months have come to an end! Those memories that you will cherish forever. We are now looking forward to all the hot updates in depth regarding the countries visited…if you are doing it so? So happy to hear that you enjoyed my photos on Instagram :) Yeah, I have lot of ideas for articles, so more soon! Feel free to shoot me an email! I’ll gladly answer all your questions! Happy travels!! I guess from Turkey to Kyrgyzstan is far enough. 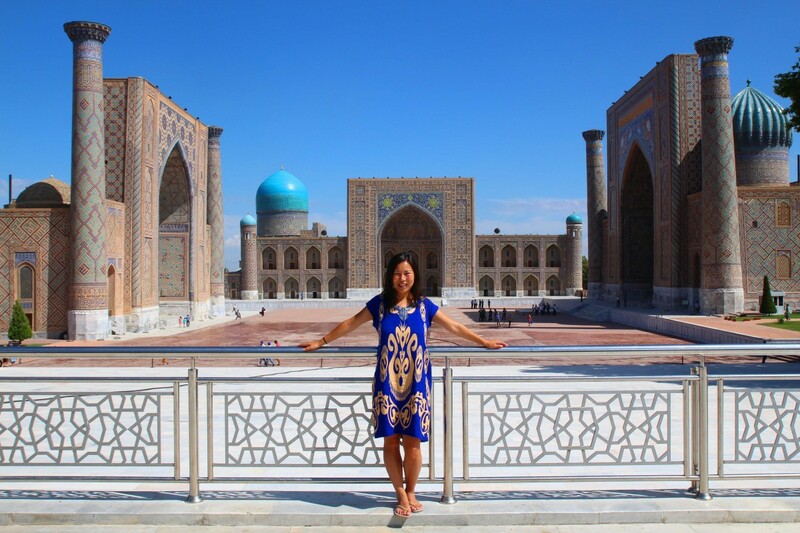 Your Silk road itinerary is awesome. I just wondering, how much momentous memory do you have during this travel? Hoping to see you on your next adventure. Good job. Hi Annika, what do you mean with momentous memory :)? Yes, the Silk Road was amazing!! That’s such an incredibly cool itinerary! What an amazing trip that would’ve been! I really enjoyed exploring those places with you through your photographs on Instagram! I’m planning my trip to this countries and just came across your site, lot’s of useful information and the beautifull pcitures made me even more enthusiastic! 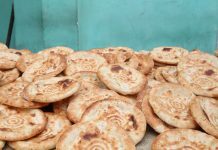 I’m planning on doing Uzbekistan- Kyrgizstan – Tajikstan. I was wondering how long you did over these parts and in which months of the year? Hi Thijs, I traveled the -stans in may/jun/july. I reckon you need about 7-8 weeks for those three countries. Sorry for my late reply! !